Selected candidates will get the best pay scale with grade pay other allowances as per the norms. candidates must be completed Graduation from any recognized institution or university with minimum qualifying marks. applicants to know the more information about education qualification visits the official website. The Minimum age limit is 20 years and maximum age limit will be 28 years. The relaxation in age limits is as follows. The candidates need to participate in the written examination( Prelims and Mains) Candidates qualified in the prelims examination will be called for the mains examination and the if qualified here they will be called for personal interview for final selection procedures. The IBPS CWE-VI Pre examination is totally a computer based online exam. The IBPS Clerk-VII CWE 2017 Online Exam comprises of 100 questions & the maximum time allotted for these 100 questions are 01 Hour and each question carry equal mark. IBPS Clerk-VII Main Examination is categorized into 05 different sections, each section consists of 40 questions. There are total 200 questions, the maximum time allotted for solving these 200 questions are 02 Hours. Application Fee submission between: 2nd August 2017 to 09th September 2017. 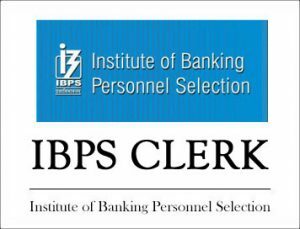 IBPS Clerk Prelims Exam Date – 26 & 27.11.2017, 03 & 04.12.2017. The response sheet of JEE MAIN, for the April Session, will be made available 2 days after the release of the exams by NTA on its official website. The jee main response sheet 2019 will be containing the answers which have been marked by the candidate in the examination. The answer key and the response sheet can be used to analyze one’s marks secured in the examination. The response sheet as well as the answer key can be attained by logging in. In order to log in, the applicant shall be needing his/ her application number and password or the application number and the date of birth. In order to calculate the marks secured, the candidate must follow the prescribed exam pattern. Through the response sheet, the candidates will be able to know if they have marked the answers correctly or incorrectly.